Why would you make $100,000+ and live in an rv? My name is Michelle and I live in an RV. And, yes, I regularly earn over $100,000 a month. I am asked this question so often that it deserved to be its own article. And, if you want to get to the point quickly, it’s simple – we do it because we LOVE RVing. There are a lot of assumptions that people make about why we live in an RV, like we’re hippies or even homeless. On the other end of the spectrum, some people assume that we’ve inherited a ton of money and don’t actually work, ha! Other people assume that if we just bought a real house we would love it and quit RVing. Well, we did own a “real” house for six years, and we still love RVing more. To us, full-time RVing is freedom. We can chase good weather, we can visit friends and families all over the country, we can wake up one morning by the ocean, and spend the night next to a snow capped mountain. It also means that we understand how little we actually need to live, and that is true freedom. This freedom does come at a cost though. RVing can be a frugal way to live, but for many (like us) it can be more expensive than traditional forms of housing. We don't RV to save money, which is something that many, many people think would be the only reason to RV. Also, because we have to be so mindful about what we buy, we rarely spend money on things that would clutter a more traditional home. We've been RVing for over two years now, and we absolutely love it. At this point in my life, RVing is a good fit for our family. Just a few years ago, I never thought I’d live in an RV. It was never a dream of mine or anything like that. However, one step into an RV and I knew it was for me. Living in our RV full-time has been the best thing ever, and we truly love it. Here's why I live in an RV even though I earn $100,000 a month. Not everyone has to live the same life. The great thing about this great big world we live in is that everyone is different. If everyone lived the exact same life – well, that would be really boring. Some people want to live in homes, and some may want to live in an RV. For us, we choose the latter. We've lived in a house before – we owned the same one for around six years. However, we were bit by the travel bug, and we realized that RV life was for us. Earning a high income doesn't have anything with why we live in an RV – we just love to travel! Sure, we could have bought a big house and lots of fancy cars. But, is that what we wanted? So, instead we went with what we wanted to do. For many people, making the choice to live in an RV is shocking. Again and again I have heard that I am crazy for deciding to live in an RV while earning a high income. To me, though, I don't see what income has to do with RVing – it's fun, so I want to RV! Just because I live in an RV doesn't mean that I'm lying about how much money I earn, it doesn't mean that I am a cheapskate, and it doesn't mean that I'm homeless. I have a home and this is the home I choose. We get to see so many amazing places. 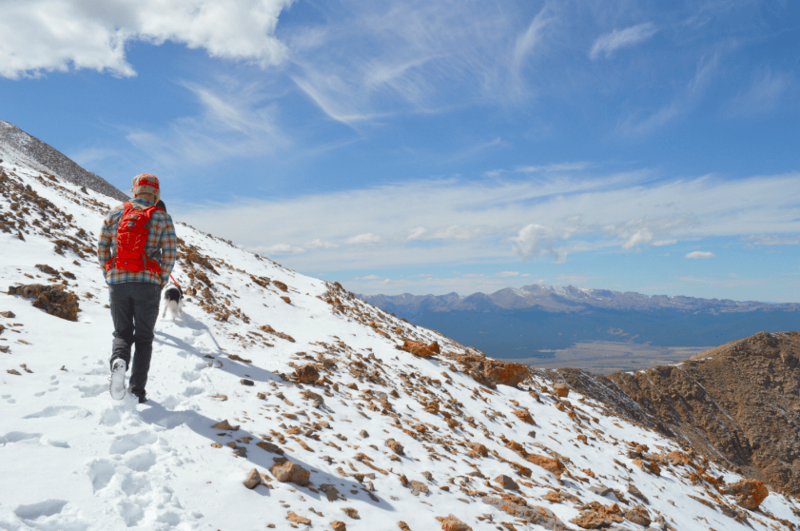 Many great mountains that we've summited, such as Huron Peak, Horseshoe Mountain, Mount Peale, and more. 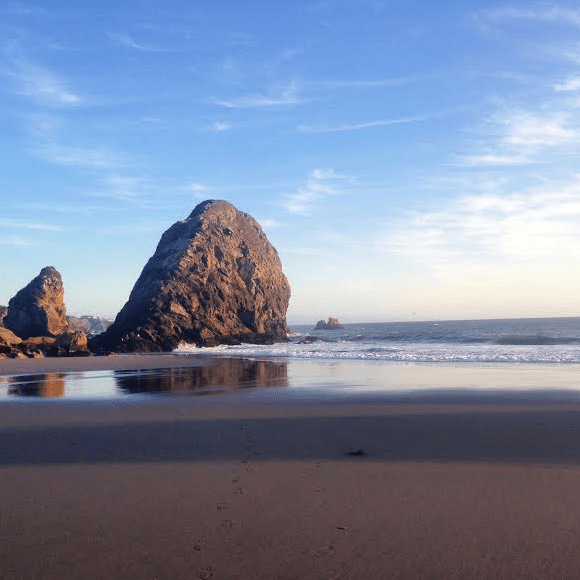 The Pacific Northwest – Mount Rainier National Park, Olympic National Park, Kalaloch and Ruby Beach, Hoh National Rainforest, La Push Beach, and many other beautiful places. 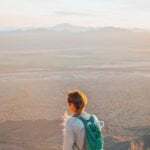 Utah (many times) – Arches National Park, Canyonlands National Park, Zion National Park, Bryce Canyon National Park, Moab, and many other places. 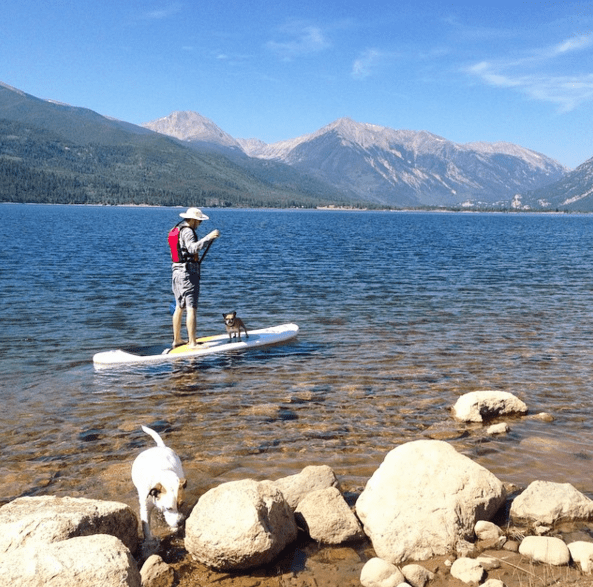 Colorado (many times) – Rocky Mountain National Park, Black Canyon of the Gunnison National Park, Mesa Verde National Park, Colorado National Monument, Dinosaur National Monument, Breckenridge, Fruita, Aspen, Durango, Denver, and many other places. “Home” in Missouri, and family in Mississippi and Illinois. Arizona – Saguaro National Park, Tucson, Phoenix, Page, Flagstaff, Sedona, and many other places. California – We've done the whole California coast, as well as central and eastern California, including Death Valley National Park, Sequoia National Park, King's Canyon National Park, Yosemite National Park, and more. 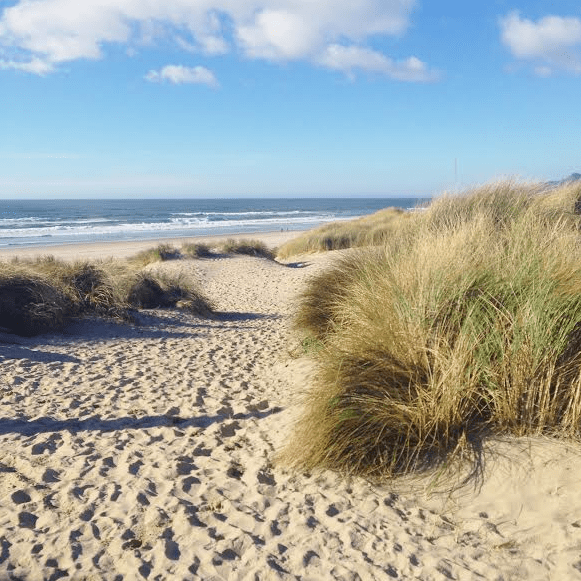 Oregon – Bend, Newport, Portland, Silverton, and more! We've done the whole coast of Oregon, and it is absolutely beautiful. Wyoming – Yellowstone National Park and Grand Tetons National Park. Montana – Glacier National Park. When you live in an RV, you can see all of these places from the comfort of your home. We pick where we want to stay, usually next to a fun hiking or biking trail for the most part, and for as long as we want. I can live by the beach, mountains, desert, and anywhere else. Living in an RV means that you can live wherever you want. 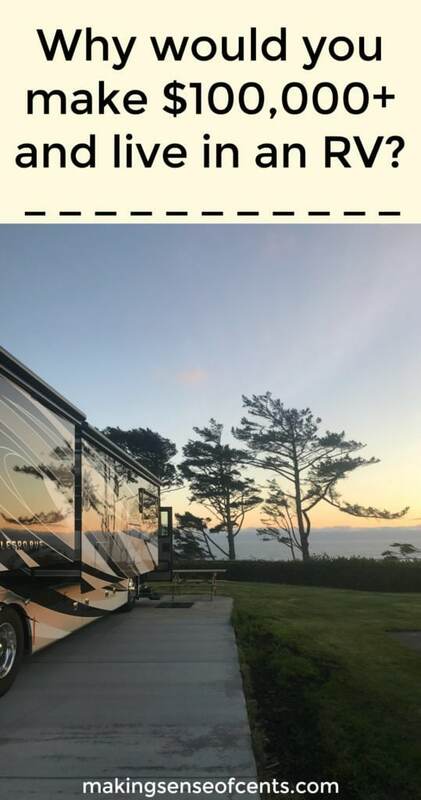 The United States has so many beautiful places to see and live, and because it would be hard to just pick one place, RV life allows us to live in as many as we want. And, it’s more than just going on a vacation, which is nice too, but I love being able to bring my entire home with me. This way I’m not forgetting anything, and because my home is always with me, I still get to live comfortably. If I want to spend my summer in the mountains and my winter near the beach, I can do that. If I want to do the opposite the following year, I can do that too. If I want to have my front window open up to a beautiful national park, I can even do that. By living in an RV, I can choose to live wherever I want. There's nothing more that I love than a good hike. Like I’ve already said several times (because it’s such a big deal to me) is that RV life means you can park your home wherever you want to. And, because we love being able to do things outdoors, we usually pick places that make that even easier. We often find ourselves in places that have hiking trails, bike trails, rock climbing routes, and more. This is great because we can usually just walk or ride our bikes to wherever we want to go, which allows us to spend even more time enjoying the outdoors. It’s amazingly beautiful living in an RV. You simply cannot beat the views we’ve seen out the window of our RV. And, there have been many of them. We’ve seen beautiful national parks right outside our window, amazing mountain ranges, desert landscapes, lake views, wild animals, and more. For this reason alone, I’m not sure why anyone wouldn’t want to live in an RV. I can follow the weather. Since we can park our home wherever we want, we can follow the weather. To us, around 70 degree is just perfect, so we like to stay in places that allow us to live in those temperatures year round. Following the weather is something that we truly love. After all, who wants to be too cold or too hot? Thankfully, the RV life lets us just leave whenever the temperature is too hot or too cold for our liking. We really only have clothes for one season, and because of that, we avoid places that are cold. I pretty much wear dresses, sandals, shorts, and/or tank tops year round, which is really nice and comfortable. I don't need a ton of stuff. This is a big misunderstanding when people find out how much I make. Sure, we could be spending our money on new clothes, shoes, home decor, whatever, but having a high income doesn't mean that I have to spend every last penny on material things. In fact, that's not what I want at all. To me, more stuff does not equal happiness. I’m not alone on this either, Why You Should Spend Like A Millionaire- The Frugal and Smart Money Habits of Millionaires. When we sold our house and decided to live in an RV, we donated and got rid of a lot of our belongings. At first, it was difficult to get rid of so much, but it became easier as time went on. Plus, when you live in an RV, you no longer have a need to buy as much stuff because the outdoors take up all of your time. We used to waste time and money going to the mall, Target, and other stores- but we hardly ever do that now. Instead, we spend a lot of our time exploring new places. I can work and travel at the same time. I LOVE being able to work and travel at the same time. We’ve met many amazing people while RVing. Some are retired, but others are like us and also trying different things in order to make their traveling dreams a reality. 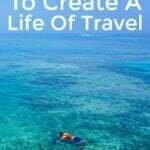 I know that thinking about making money while traveling can be a scary thing for many people, but it has really allowed us to live our dream life. This factor is something that holds many potential full-time travelers back, but it shouldn’t! Don’t let making money on the road hold you back from living your dream, because even though it may seem big, it’s something that can usually be worked around. 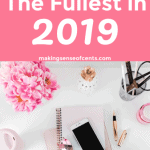 To be able to live in an RV full-time, I run an online business which consists mainly of this blog- Making Sense of Cents. It is a lot of fun to work and travel at the same time. At first, I thought it would be difficult. I thought internet would be hard to find, that I would be too distracted, and so on. I've come to find that I'm more motivated than ever when it comes to working, and having a great view out my window each day definitely helps as well. If I want to take a break from work and go on a hike, I can do that. If I want to go on a mountain bike ride in the morning before I start answering emails, I can do that. Living in an RV makes traveling and working (and living) much more enjoyable because I can bring my home everywhere I go. I don't have to worry about forgetting something, bringing a suitcase, or anything – I just always have it all with me. Do you look down on RVing? Why or why not? Do you want to live in an RV? We do have a dream of buying a camper and traveling for weeks at a time. We homeschool and love the flexibility it offers, and traveling is one huge way we want to take advantage of that flexibility. So hopefully in the next few years, after we pay off our house ( 6 years and counting!! ), we will be traveling a good bit our selves. I get excited just thinking about it! I would absolutely love an RV life. I mean you can work and travel the same time. How cool is that? It’s like being on a never-ending adventure. I would personally to go on an RV life once I am financially stable and earn enough from my blogs. I think people tend to project their insecurity and preferences onto other people and pass judgments when others don’t conform to their beliefs. I love that you are doing what you and your husband enjoy without worrying a out what other people think. I’d love to try the RV life one day! I’d love to try it, but not sure if I’d like actually driving it haha 🙂 That being said, my wife has absolutely no interest in it, and there’s no way I could sell her on the idea, at least no any time soon. And that’s fine – like you said, not everyone needs to live the same life! But maybe we’ll rent one for a while after we retire or something, who knows! Thankfully, my husband does all the driving! If you write more on this subject you might want to point out how much time/how many miles you actually drive in a year. Staying for weeks at a time in a favorite location and then moving to another often doesn’t add up to many miles driven in a year. Same on the perpetual “gas mileage” issue. Sure, a large motor home uses quite a bit of fuel, but if you’r only driving in once a month or so, it really doesn’t cost that much over time. We actually drive quite a bit in the RV. We put around 15,000 miles on it each year, plus almost double that on our car each year. A question. An acquaintance recently bought a “fairly” large RV. The problem that we all noted was transportation while camping. Once you “set up” camp, you are kind of stuck there. When you need that one thing from the grocery store, it’s a major evolution to go there. Do you run into this? We tow a car behind our RV (most RVers have a vehicle other than their RV). Not a problem at all. Something else for those concerned about transportation at a campsite area. Driving a motorhome and towing a small car is one good solution. Another, equally as valid IMO, is to buy a large, comfortable travel trailer (5th wheels are very easy to tow/drive), and pull the trailer with a newer, luxurious pickup. Another way of RVing which works well for many. I would absolutely love your lifestyle! I think you are living a fabulous life, and good for you! It’s an amazing privilege to be free from the rat race, that’s what people don’t understand. It’s the certain aspect of freedom that makes what seems conventional more comfortable. A 30 year mortgage is anything but freeing. So crazy that people think you’re lying about your income! I feel like having the money to do it means there’s no reason not to live the way you want to. We’ve talked about living in an RV. If we can are making consistent online income, I think we’ll try it for a year or two. I don’t see it being something that I would do on a long-term basis, but I’d LOVE to spend a year or two exploring. I see so many others traveling long-term with kids (we have 3) so I think it’s definitely doable. I think it’s great that you’re doing what you love, while you work! I follow the journeys of several RV’ers and it makes me want to do it even more! I admire anyone who lives tiny, whether it be a stationary structure or an RV/van. The timing is a bit off for us to try it ourselves, but it’s definitely on our future possibility list. Thanks for being such an inspiration and sharing your awesome RV lifestyle (and pictures) with the world. Forget living in an RV…what do you do to make 100,000+ a month?? Inquiring minds would like to know! I love what you say about having more Money doesn’t mean wanting our needing more stuff. It’s about having the security so you don’t have to worry about affording the necessities so you can actually enjoy your life. By the way I like that your view of money also translates to how yo be successful with your course. I took it recently and started implementing some stuff in my affiliate marketing. Got me my first sale already! Thanks Michelle! Congrats Sylvia on your first sale! Loved the article. Hopefully, we are a couple years out from getting our own RV and traveling all over when Brittany has off from teaching. Thanks for sharing a little insight into your life. Haha, right?! I should have just ended the article at that. I think there’s RV and RV… you have the comfortable even luxurious ones I wouldn’t mind living in and the ones that cost 10k and are falling apart. I think you should do whatever you want! I think if it’s a good RV, there are only advantages in living in one. You have the freedom to go and live where ever you want! I’m loving this way of life! I totally get this!! We looked into this for a bit but decided against it since our kids were so small (and we’ve since added a third). I definitely hope to do this at some point in my life; but I will say, with three small kids it’s NOT for me lol!!! I think my husband and I will do this together once the kids are grown or even a bit older and they could come! I love that you are enjoying RVing so much!! It truly looks like a dream!!!! RV life is intriguing! We have two young kiddos but want to do the “RV” thing with them this summer! It sounds like such an adventure! Kudos to you for living your dream! I’m trying to convince hubby that we need to sell all of our belongings and travel for a year around Canada…. There is a lot of fear thinking about not having jobs and a place to call home, but I know it’s possible and if needed, there are always jobs at gas stations! There are plenty of jobs when Rving! In fact, I don’t know any RVer who has ever worked at a gas station, LOL. There’s plenty of other options. I love watching your RV life! It’s not for me personally, but I do love learning more about it. 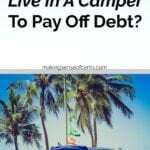 🙂 Too often I think people associate living in an RV as a form of sacrifice or torture in the name of saving money. But it’s so far from the truth; it’s just another way to live that’s right for certain people. If you love the RV life then do it, life can pass so quick so personally I think when you love to do something go for it. Have an amazing life and enjoy all the moments. Yes, the memories we’re creating are amazing! When I was growing up my grandparents lived in an RV park in CA for several years. They could afford a house, but they were enjoying the minimalist lifestyle back before it was the cool thing to do! They were close to the beach, had great weather, minimal upkeep — what more could they want? My grandma even had her little cactus garden. I loved going to visit with them each summer and sleeping on the pull-out sofa in the living room. They eventually bought a larger house in a country club closer to the rest of the family, but I’ll always have those fond memories of visiting them in the RV park. I hit my FI number a few months ago and I’m wrapping up my day job by the end of the year (50 days to go!). I keep debating what I want to do next and it keeps coming back to being a nomad, at least for a while. I’ll still work on a couple side hustles that I can run from anywhere, so I can travel around and work maybe 10 hours a week. My decisions went from trying to figure out which state/city to move to once I quit, to which mode of transportation I want. Motorhome? Pull a little Scamp/Casita trailer with my pickup? Buy a cargo van? Passenger van? Just use my pickup with a camper shell and without a trailer? I might do the last one first just to see what it’s like living on the road for a while. I’ve come across quite a few sites/YouTube videos of people living out of their trucks and it certainly looks doable. I wouldn’t want to live in an RV personally, as I don’t drive, and my husband hates driving abroad. Besides, Germany where I live, has strict rules regarding living with a child and school – we have one! Nevertheless, I’m a great supporter of living the life that you want and living it proudly, regardless of whatever anyone else thinks, hence the reason that I live in a marvellously tolerant city such as Berlin! I think living in an RV would be fun. I’d love to be able to chase the weather. 70 -80 degrees without any humidity would be perfect for me. Our plan is to RV full time in 2-3 years. I’m at the beginning of starting an online blog based business relating to music (I currently teach private guitar lessons), my wife can work her job anywhere there is internet! We are currently on a debt snowball, kids will have gone on their own so 2-3 Years looks about right! We will probably cross paths somewhere in the wide open lands of the USA! Your stories are a true inspiration to me. What’s more important is that you are doing something that brings joy. If living in RV gives you fulfillment, do it. Don’t care about what people are saying. Focus on your plans. Looking at your blog success, one will be wrong to insinuate that you are lying about how much your earn. Thank you! Yes, it’s definitely easier said than done. When we sold our house, it was so overwhelming! I would love to live in an RV! I’ve strongly considered doing just that when my oldest daughter graduate Le from high school in a few years! Do people really ask when you “grow up”? Jeez! Enjoy your freedom and enjoy the possibility to wake up wherever you like to. It’s great! I think it’s great that you are going against convention and choosing a bigger life! If I was traveling full time I would definitely consider an RV. I think it would be nice to have the stability of a home while also traveling. Living out of hotels would get old, I think. Yes, definitely! Plus, we have dogs so hotel life wouldn’t be very great for them. My parents are young and retired and decided that a 4 bedroom house with no kids in it was a waste, so they downsized to a 5th wheel and live in it full time, traveling all over the US. They bar hop and make new friends every where they go. If it werent for the fact that my husband can’t work from the road, i would love this lifestyle. Good for you for making it work and thanks for sharing your story. The great thing about money is that it buys you options. And the most expensive option is not the best option for lots of people. One thing that I’ve learned after nearly eight years in this travel blogging world is that everyone is on a different timeline. There’s a lot of conflict amongst people arguing whether so-and-so isn’t traveling long enough or is traveling too long or too fast or spending too much time in Chiang Mai, but you just need to let people do what’s right for them! 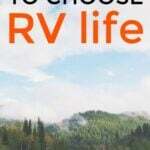 Do you still live full time in your RV? I’m contemplating on doing it. Is this question for me or Kate? Kate – I love exactly what you’ve said. I’ve received so much flack over the years for not doing things that people consider to be the “right” way to travel, the right way to RV, the right way to sail. It sure does get annoying and is probably one of the worst parts of traveling full-time! Yes, yes and yes! I don’t earn $100,000 per month (not even close), but in a few short months, we will be selling our home in order to live full-time in an RV! You hit the nail on the head as far as reasons to live in an RV. The biggest reason for me is because I want to explore the U.S. with my family and it’s hard to afford a “real” house and travel at the same time. Thanks for the inspiration! I wouldn’t call you homeless. I’d like to think of you as home-free. Very inspirational and exciting to think about doing as well! Wishing you happy and safe travels for 2018! Perhaps that is the year you drive to Alaska!! I absolutely love this idea and I wish my husband and I could do this as well but we’d have to wait until our kids our out of school to live that lifestyle! This seem like so much fun and freedom!!! To be able to travel where you want, make crazy income from anywhere and enjoy life to the fullest… What more could you ask for?! This is the life girlfriend! lol. My husband is already on board with the idea so in a few years, we might actually try this living in a RV thing out and see how it turns out! Thanks for the inspiration! I think the RV lifestyle would be great. Nothing tying you down, different scenery and experiences. When I grow up, I hope to be like you :). (p.s. I am 50) Growing up my parents and I were camping every weekend in our RV. But it was always the same place. I didn’t really appreciate it though–thought it was boring. Looking back though I have nothing but great memories from those days and only wish that I could have offered those memories to my children before they were grown ups. Keep on RV’ing! Enjoy the Freedom! 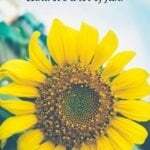 My husband and I talked about the self-employed route and do soms traveling. I’m not sure if it is possible, but what are your thoughts on RVing in Europe?